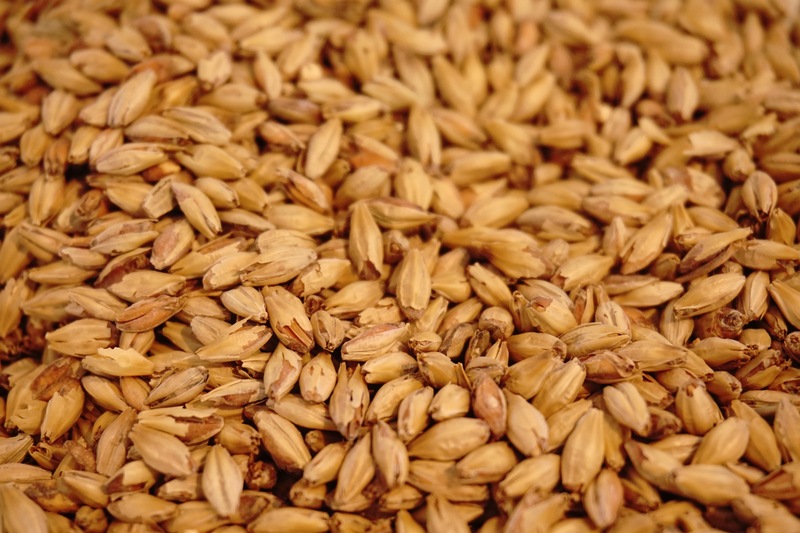 These are easy malts to make because they start out as pale malts and are lightly toasted. There are several ways to make them and there is plenty of information to do this on the internet, but I wanted to try it myself so that I could see and taste what effect the different times and temperatures had. Victory and Amber malts are pretty much the same and are a little darker than Biscuit. However, these malts will vary between malting companies. I found that the most pronounced roasted flavour came from a short roast at a high temperature. This is not surprising given the appearance of the malt. At 350F there is some significant darkening that occurs in a certain percentage of the grains, in other words, some grains look burnt, not charred, just well roasted. I found that soaking did not have much of an effect on the flavour, it just extended the kilning time. Because of this, it was not possible to get a light coloured biscuit malt after soaking. The flavour of the soaked grains was comparable to the grain roasted dry at a low temperature (250F) which was more mellow. Here are the times and temperatures I used to get malts with similar colours. Stopes also recommends that the final curing stage (last 5-6 hrs) can be carried out with dry beechwood in the kiln for the best flavour. My version seen in the video was to start with a pale malt and kiln at 200F for 1 hr. 220F for 1 hour 240F for an hour then 250F for an hour.